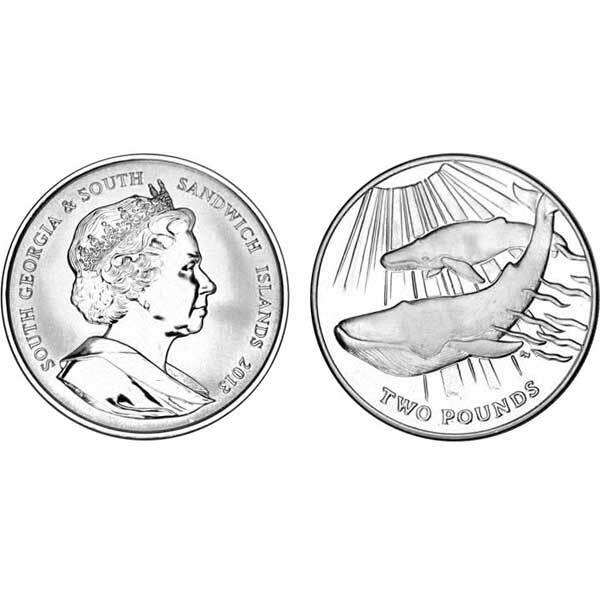 The South Georgia and South Sandwich Islands 2013 Blue Whale Coins by Pobjoy Mint is an outstanding new coin issued on behalf of the Government of South Georgia & South Sandwich Islands which commemorates the biggest known mammal ever to exist-- the Blue Whale. At 30 metres in length and 180 metric tons, the Blue Whales were plentiful in nearly all the seas worldwide until the beginning of the 20th Century. For over a century they were virtually hunted to extinction by whalers till they were secured around the world by the International Whaling Commission and no hunting presently takes place. Due to its large size, many organs of this impressive mammal are the biggest in the animal kingdom. A blue whale's tongue weighs approximately 2.7 tons and when totally open, its mouth is huge enough to hold up to 90 tons bunches of meals and water although it can not ingest anything larger than a beach ball. The largest blue whale ever before measured was was discovered near Grytviken in South Georgia in 1909. She was 33.85 metres long. This spectacular new coin from South Georgia & South Sandwich Islands is being issued as a remarkable Blue Titanium piece in honour of this astounding animal and features an image of a Blue Whale with her calf swimming in the ocean with the sunlight penetrating the water. The coin is additionally being produced in Cupro Nickel and Proof Sterling Silver. The obverse of the coin holds a fine effigy of Her Majesty Queen Elizabeth II by Ian Rank-Broadley FRBS with the obverse struck in reverse Proof (with the effigy in Proof and the background frosted) to truly show the colour of the blue Titanium. 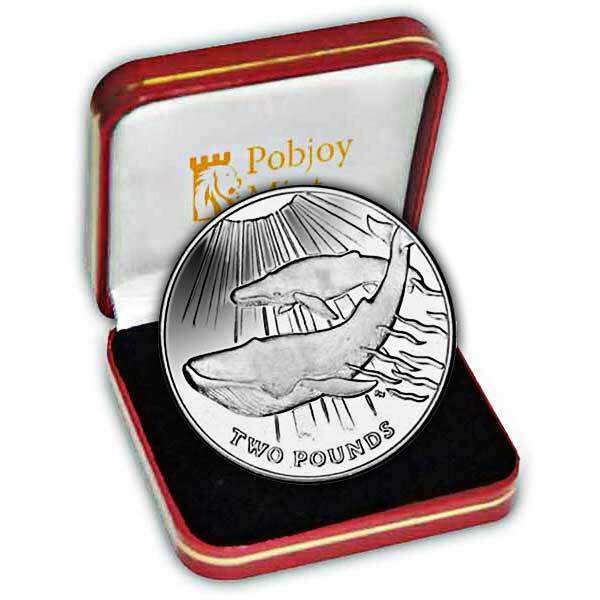 Each precious metal coin has been struck four times to produce the renowned Pobjoy Proof finish.